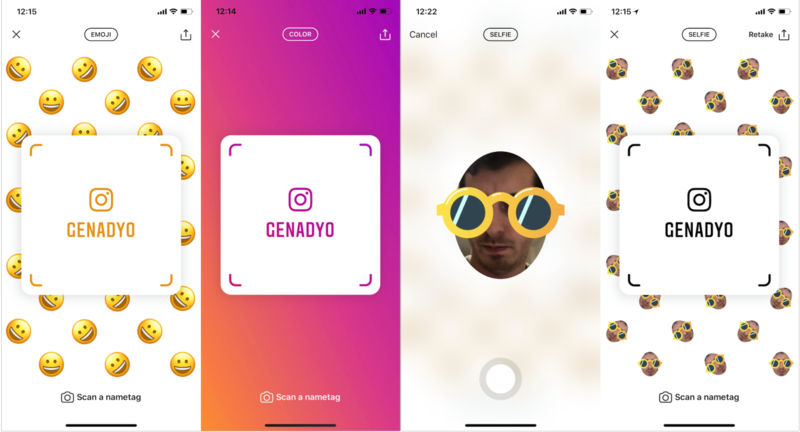 Instagram is reportedly looking to launch a new feature called ‘Nametags’ which would enable users to create their own, customized Instagram code which can be scanned in using the app’s camera, immediately connecting you to that users’ account. Sound familiar? That’s because Snapchat has the same, in Snapcodes, and Facebook Messenger has the same in Messenger Codes. So will they be popular? It’s hard to say - certainly the Messenger tags don’t appear to have been a hit, but Snapcodes have long been a helpful element. Instagram’s tags will make it easier for users to build their followings by promoting their accounts with an easily accessible image – but still, QR code style tools have been around for a long time, and they’ve never taken off, as many had expected. That said, the option – if it is rolled out – will give brands another way to promote their Instagram presence, and add an interactive element to the process within their promotional materials. Extending from this, Instagram could also enable businesses to create Insta codes for products – you might be able to scan in a specific code on a product to see more about it on Instagram, or check if there are any discount coupons available. There’s a range of ways the tool could be used – but again, Instagram has yet to officially confirm a full roll out, or functionality as yet. We’ll update you as we learn more.